Russia and China are drifting away from the dollar by boosting bilateral trade and settling deals in national currencies, while Washington has turned its currency into a foreign policy tool, Ben Aris, editor in chief of Business News Europe, and Madalina Sisu Vicari, managing director of Vocal Europe, told Sputnik. 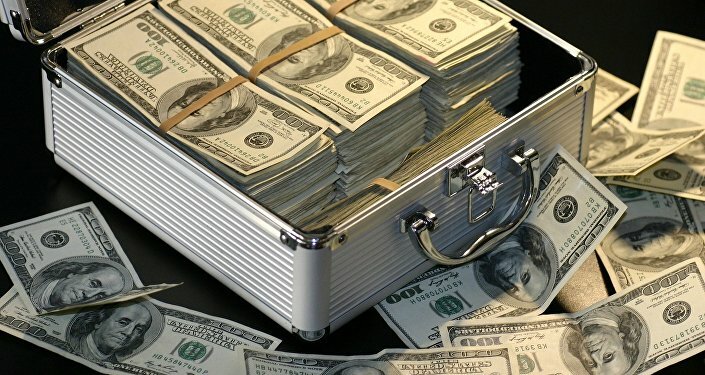 The Central Bank of Russia has decreased its dollar holdings by $101 billion, moving the equivalent of $44 billion each into euros and renminbi in the second quarter, according to the financial institution's latest report. 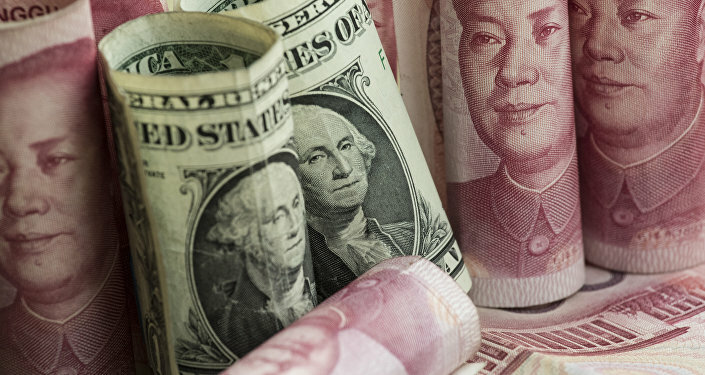 "That puts Russia's yuan share at about ten times the average for global central banks, with its total holdings of the currency accounting for about a quarter of world reserves in yuan", Bloomberg wrote on 9 January, citing the International Monetary Fund data. This shift is hardly surprising given the countries' growing bilateral trade volume, according to Aris. "The Sino-Russia trade turnover just topped $100 billion for the first time in December , up from around $5 billion of mutual trade in 1991, and both countries have begun to settle their mutual trade in their own currencies", he told Sputnik. He highlighted that "in 2008 the share of renminbi/rouble settlements in mutual trade was zero and now it makes up about a quarter". "This means that Russia needs a store of renminbi to provide the liquidity to cover this mutual trade settlement process. Increasing the share of renminbi in the gross international reserves (GIR) is the store needed", Aris noted. Having branded of the Sino-Russian trade turnover growth as "steady", the journalist emphasised that it was partially disrupted by the slump in oil prices and "only started growing again in 2016 when the 'silent crisis' caused by the devaluation associated with the collapse of oil prices came to an end". "Last year a new target of bringing mutual trade to $200 billion by 2020 was set and that is the goal now", he underscored. For her part, Vicari emphasised that the fields of Sino-Russian cooperation includes a series of important sectors, namely energy (oil and gas), military industry, common strategic projects in transport, technology, infrastructure sectors, adding that it may be extended to other areas, such as natural gas, big infrastructural projects with joint participation, agricultural products, etc. Moscow and Beijing are planning to steadily boost the volume of bilateral trade to $200 billion by 2024, the government said in a statement on the main areas of its activities through 2024. According to the Chinese Commerce Ministry's May prognosis, the countries' trade volume might reach $200 billion already in 2020. According to Vicari, the Central Bank's move "is a continuation of the major policies pursued by Russia over past years": "By ditching the dollar, and shifting towards other currencies, Russia is reducing the risk of leverages that might be used against it, especially from a geopolitical perspective", she highlighted. However, she warned against leaping to conclusions: "Yet, it is premature to assess the economic benefits of such a situation; most likely, the petro-yuan system, which has been already working since a while, would be enhanced". Although the Russian Central Bank has recently dumped $101 billion in the US currency, Aris opined that "Russia will never be able to ditch the US dollar completely" in the foreseeable future. "Part of the problem is that the international market for oil is still largely settled in dollars and this is one of Russia's most important export products", he said. "There has been an attempt to set up a commodities exchange in St Petersburg to trade oil and oil futures in roubles, but it has not made much progress". Commenting on Chief Investment Strategist of BCS Financial Group Maxim Shein's assumption that the Central Bank of Russia is getting rid of greenbacks as the main reserve and settlement currency, Aris noted that global players are not interested in dumping the dollar entirely or at once. "The problem with getting rid of your dollar holdings is if you sell the price goes down", the journalist explained. "A country like China holds trillions in Treasury bills, so if it sells, the value of its own reserves will fall by many billions of dollars in value, as you would create a glut to US dollar bills and no one is in the position to pick up the excess. So no country is going to do that — or at least not quickly". According to Aris, if the majority of countries decided to unload their dollar holdings, the only way to do this would be to get rid of the US currency "extremely slowly so that the market could absorb the new supply". "And that will take years, if not decades, if not a generation", he presumed. Still, Vicari highlighted that "currently only 22 percent of Russia's $485 billion reserves are kept in dollars": "Hence, we cannot speak, literally, about [Russia's] 'dependence' on the dollar". She believes that Russia needs to speed up the de-dollarization of its economy: "For that, it needs to: accelerate and stimulate the transactions in other currencies than dollar (euros for transactions with the EU; yuan for transactions with China; roubles for transactions with countries of the EEU/CIS); increase euros and gold reserves; delisting Russian companies from foreign stock exchanges". The scholar admitted, however, that "the de-dollarization won't be done overnight" and "depends on close cooperation with other countries". Commenting on the potential US sanctions against the Central Bank of Russia, including the freezing of its dollar assets, the Business News Europe editor in chief suggested that "this would be destabilising for everyone, as the point of buying US Treasury bills is they are supposed to be the least risky asset in the world". "This is partly because so many dollars are held outside of the US, so there is always a liquid market, even if the US itself is closed", he specified. However, Aris opined that "clearly the Central Bank of Russia worries about a possible freezing of US assets such as Russian-owned Treasury bills". Therefore, in 2018 it moved to dramatically reduce the amount of US bonds it held, the journalist recalled. Aris believes that new US sanctions in 2019 are "highly likely". "In 2018 there were four rounds of sanctions and April was a round — The Countering America's Adversaries Through Sanctions Act (CAATSA) — that specifically targeted a major Russian business, Oleg Deripaska's Rusal", Aris elaborated. "Those have since been withdrawn, as they caused chaos on the London Metal Exchange". He foresees that in 2019, one can expect "the escalation to continue and it's likely they will go further, targeting financial instruments more aggressively". Referring to US lawmakers' threats to target the Russian sovereign debt, the journalist expressed doubts that Washington would resort to this "weapon", "as they are so widely held, including by US investors like pension funds and insurance funds". "So, any pain inflicted on Russia would boomerang back on US investors", he explained. Vicari echoed Aris' stance by saying that "a freeze of assets in relation to the Central Bank of Russia by the United States seems, at this moment, unlikely". "That would require for the current sanctions' architecture against Russia to be widely expanded on one hand, and it would be a strong political signal that would indicate that the United States, especially the current administration, aims to move to a new phase, more antagonistic than the current one", she said, adding, however, that one could not rule out "the degree of unpredictability of [US] domestic developments". When asked what foreign currencies are likely to overtake the greenback in the future, Aris underscored that "the currencies that could replace the US dollar are those belonging to countries with a big volume of trade". "The euro is 20 years old this December and the volumes of trade in the EU are enormous, being on par with the US trade, as there is so much internal EU trade on top of EU-rest of the world trade. So that currency is already a big and important reserve currency", he said. 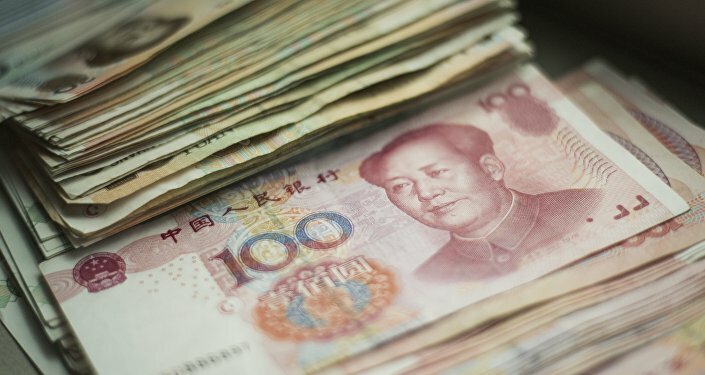 At the same time, China's renminbi "is also already a big player in trade, but it has been unpopular as the Chinese have kept the value artificially low for many years", the journalist explained. He added that now that China "has changed from an export-driven growth model to an internal domestic consumption model, the value of the renminbi will start to better reflect its true worth and the size of the volumes of China's trade make it another candidate". The other currencies, including the yen and the pound, are less important — although they feature in the IMF's Special Drawing Right (SDR) basket — due to their relatively small share in global trade, he concluded. However, according to Vicari, to answer the question as to what currency is likely to unseat the dollar as the world's leading currency, one should firstly have the answer to the following question: "How will the competing global powers shape the international system"?